Stirling Park was developed by the Halliday family as a market garden in the 1840’s. Itwas used for summer vegetable growing until the early 1970’s, when it was compulsorily acquired from the Bonython family by the State Government. The State Government initially earmarked the land for school development but abandoned this idea and sold the area to Stirling District Council in the mid 1980’s. Council initially intended to develop the area for a sports park but abandoned these plans. Local opposition to the subdivision of Stirling Park has preserved the park as a community resource. 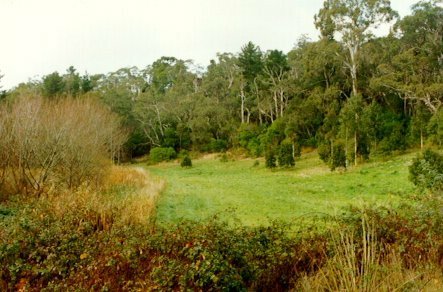 Stirling Park forms an important part of the catchment of Aldgate Creek. Plans were developed and work undertaken to re-establish a series of ponds in the wetland area, which has improved the quality of water in the creek and reduced the threat of flooding which occurs occasionally in Aldgate. Extensive planting by volunteers is gradually restoring the park to a natural bush setting. Major plantings occurred in 1990, 1992 and 1998, and most years since. Trees, bushland and wetland plants have been successfully established and maintained with the help of many community working bees. 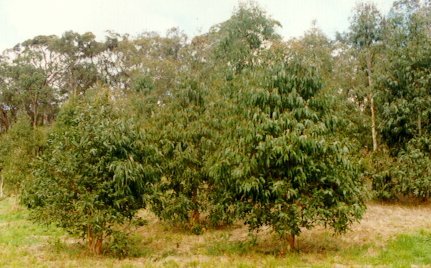 The earlier tree plantings were designed to provide a food source for koalas because grant funding was obtained from ‘Koala Green’. Koalas are not indigenous to the Adelaide Hills, but have become established in Cleland Reserve and the Mt Lofty summit area. They are spreading out throughout the Adelaide Hills and are often sighted in Stirling Park. Stirling Park is a very good site for bird watching. 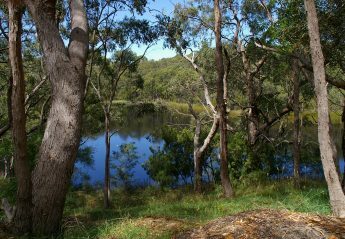 It is relatively open, but has close proximity to the lake and bushland of Woorabinda. There are dense reed beds and thickets along the lower creek line. It also has a number of well established gardens along two sides. The variety of birds to be seen is very diverse. Check out the Bird list.